About the Bulldogs: This has been a resurgent year for Fresno State, which is looking for its highest win total since winning 11 games in 2001. The Bulldogs come into the Hawaii Bowl after winning their first conference title since 1999 and riding a five-game winning streak. During those five games, the Bulldogs have dominated their opponents, winning by an average of 25.8 points. 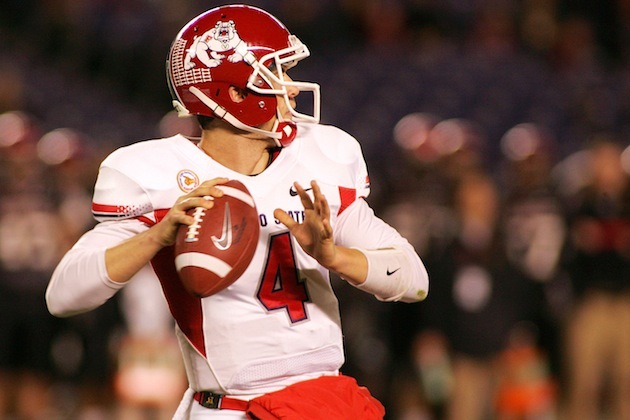 Fresno State revolves around quarterback Derek Carr, who has really come into his own during his junior season. He has thrown for 3,742 yards and 36 touchdowns to just five interceptions. About the Mustangs: SMU won its final game of the season to become bowl eligible for the fourth consecutive season under coach June Jones. This is the second time the Mustangs have made the trek to Hawaii for the holidays. In 2009, they defeated Nevada to win their first bowl game in 25 years. SMU’s season hasn’t been great. They’ve shown flashes of being one of the better teams in Conference USA and flashes of being one of the worst. The inconsistent play on offense and defense put the Mustangs in a position where they had to scramble for bowl eligibility, so it’s up in the air which team will show up in Aloha Stadium. Fresno State has not scored fewer than 42 points during its five-game winning streak. And actually, those 42 points came at the beginning of the streak and since then the Bulldogs have scored 49, 45, 52 and 48 points. The breakdown: Carr, who announced he would be back for his senior season, has been fantastic this year, especially as of late, which is bad news for an SMU passing defense that ranks 103rd nationally, allowing 271.17 yards per game. The Mustangs also allow an average of 27 points per game. The Fresno State passing offense ranks 12th nationally. If SMU is going to have a chance in this game, quarterback Garrett Gilbert and running back Zach Line are going to have to play their best games of the season. Gilbert, who has 13 interceptions this season, must be mindful of Fresno State safety Phillip Thomas, who leads the nation with eight interceptions. In Tim DeRuyter's first year as a head coach, the Bulldogs have been very strong, even with little attention. 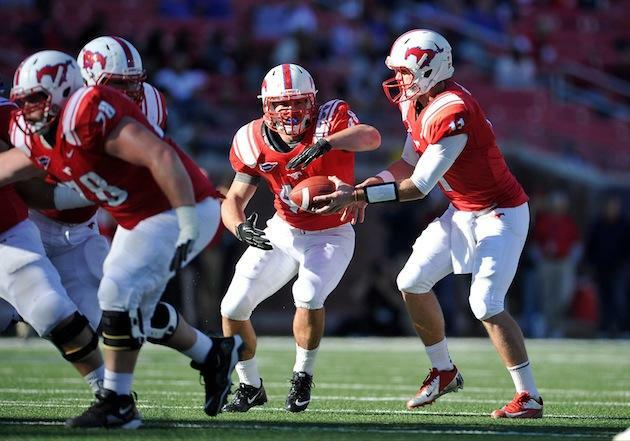 Fresno State had an amazing 11-1 record against the spread, and it should make it 12 out of 13 against SMU. Tune in to watch Fresno State quarterback Derek Carr, David Carr's little brother and one of the most unheralded great players in the nation. SMU seems to generate some magic while on the Big Island, but Fresno State is just too hot right now. Carr is seeing the field so well and the offensive line has been outstanding, especially in the second half of the season. SMU would need to play a perfect game to win this one, and even then, I think Fresno State would at least win by a score.